Edward Hopper's famous "Chop Suey" painting, long promised to Seattle Art Museum, will apparently be auctioned off instead. 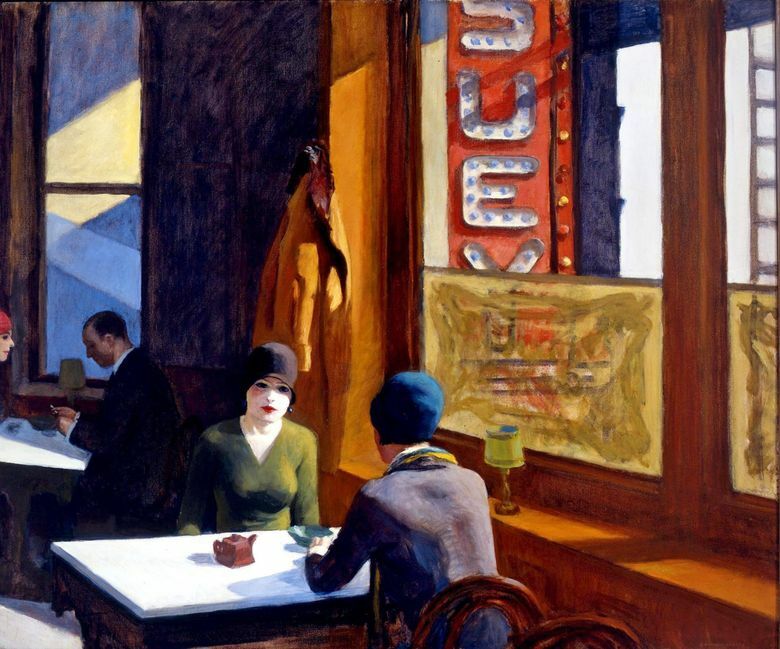 “Chop Suey,” a painting of two women sitting at a table in a restaurant by renowned artist Edward Hopper, had long been promised to the Seattle Art Museum. But now it looks like SAM won’t be getting that prized painting, recently valued at $70 million. Barney Ebsworth, a longtime SAM trustee and major art collector in Seattle who had made his fortune in the travel industry, had promised “Chop Suey” to SAM at least a decade ago. Seattleites might know Ebsworth best for giving SAM “Echo,” Jaume Plensa’s sculpture of a 46-foot-tall head, installed in 2014 at SAM’s Olympic Sculpture Park. But Ebsworth died in April, apparently leaving “the balance of his collection to his family,” The Art Newspaper reported, quoting Christie’s, which is auctioning off what it says is a portion of the collection. The collection of about 85 works — which Christie’s estimates at a worth of $300 million altogether, with “Chop Suey” taking up an estimated $70 million of that — will be auctioned off in New York in November, according to The Art Newspaper.